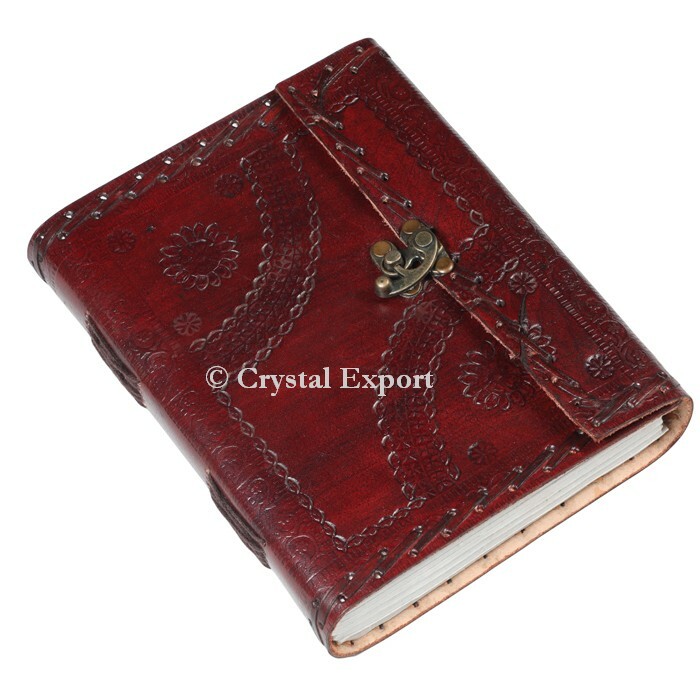 Design Print Hand made Leather Journal is an extraordinary high quality refillable calfskin bound diary. It is made of high PU leather, delicate in hands, strong for movement or Outdoor adventure. It measures in size 5 by 7 and its weight is approx 170 grams. Order online at Crystal Export.